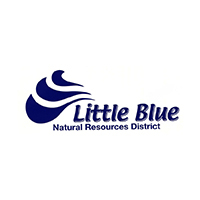 The Little Blue NRD Water Resources Committee meeting was held at 7:00 pm, September 4th, 2018 in Davenport, Nebraska at the headquarters Board Meeting Room located on the south side of the building, east door. Staff will have quotes prepared for the committee meeting. Because this was a hot topic last year, staff suggests committee select two or three low bids, and ask the companies have a presentation to the board on the 11th for final selection. Baysinger attended last month’s board meeting with concerns about irrigation development near his domestic well. Bob Fisher had well problems that were noted in last month’s staff report but he didn’t come to the meeting. Mr. Fisher’s domestic well dried up due to groundwater declines requiring him to re-drill the well much further away from the farmstead. He has submitted a bill for replacing his well and underground pipe. This is for your information: Bill Johnson, J2 Well of Roseland, has found a non-intrusive instrument that measures depths to water in wells with 2 hp pumps or less. More information is available on the company’s website, wellgauge.com. Discussion of Sub-Area nitrate levels, contamination, and schedule of hearings for those areas.